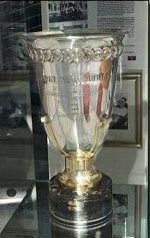 Most people associate the Vanderbilt Cup with the trophy donated by William K. Vanderbilt, Jr. and now owned by the Smithsonian Institution. 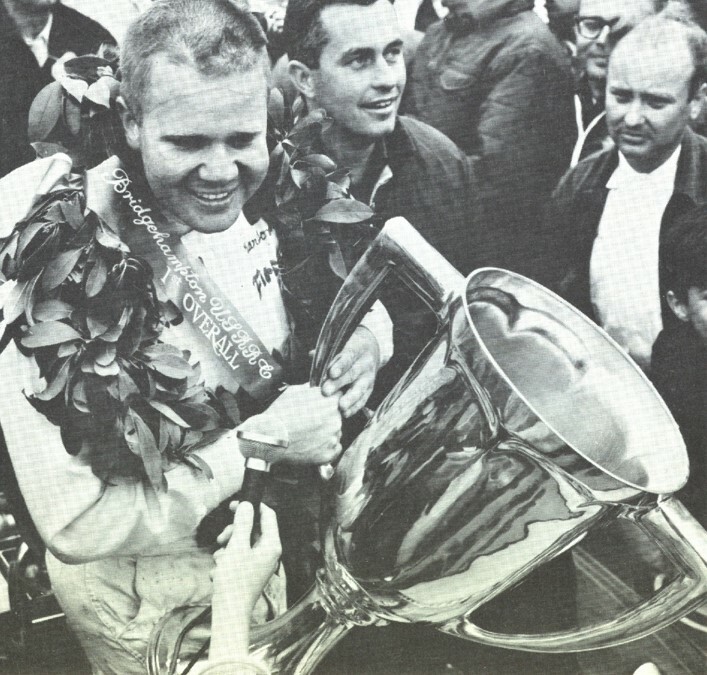 However, there are actually five Vanderbilt Cup trophies associated with auto racing. This tophy was given on loan to the manufacturer who won the Vanderbilt Cup Races from 1904 to 1916. The trophy was owned by William K. Vanderbilt, until 1934 when he gifted it to the Smithsonian Institute. 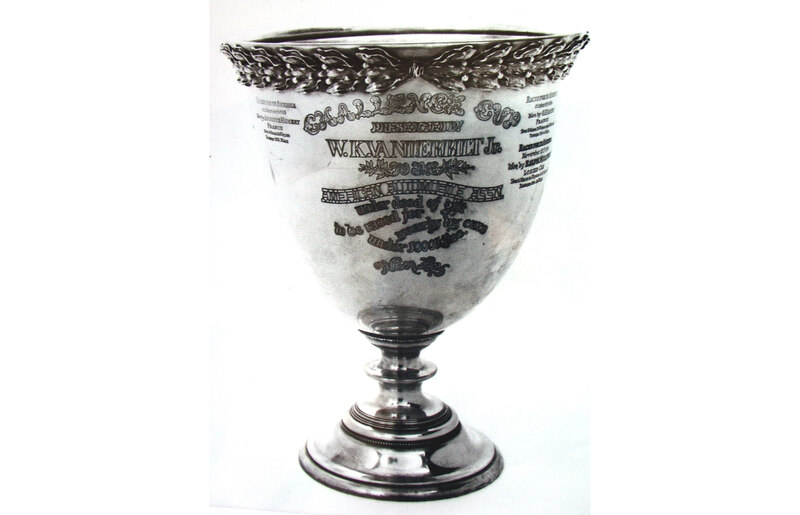 Where is the William K. Vanderbilt Jr. Cup today? 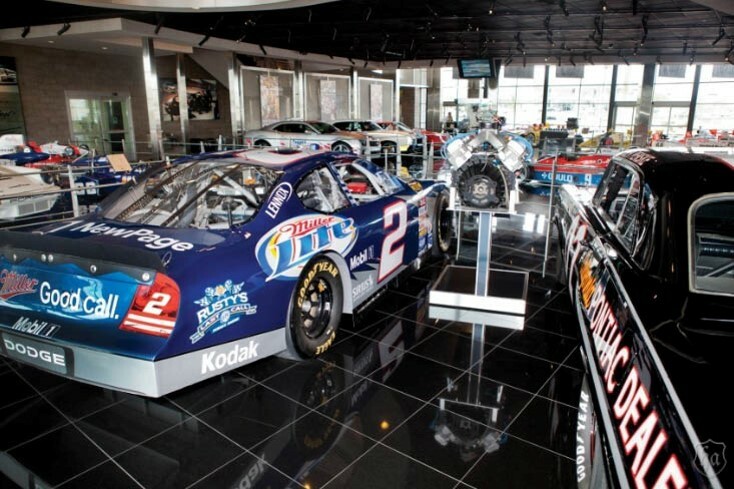 The trophy is currently in the Smithsonian's storage facilities in Maryland and available to be seen only upon special request. 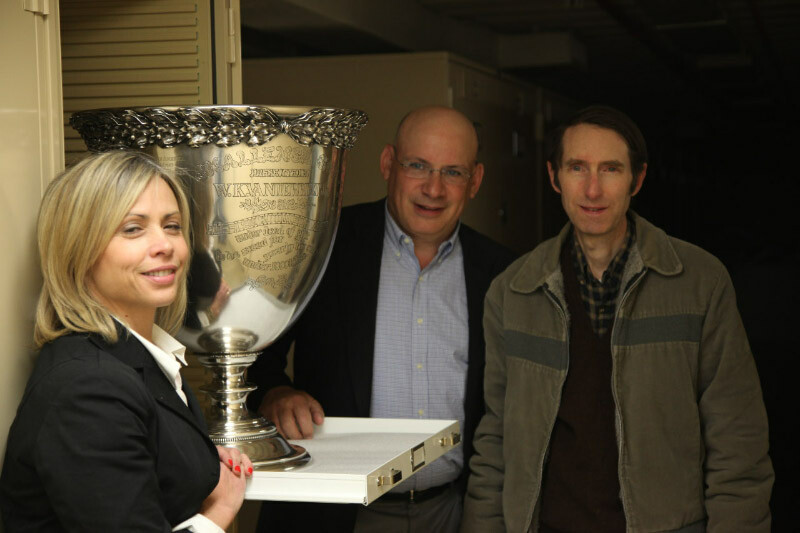 On May 9, 2011, Stephanie Gress, Director of Curatorial Affairs of the Suffolk County Vanderbilt Museum, and I visited the trophy courtesy of Roger White of the Smithsonian (far right). 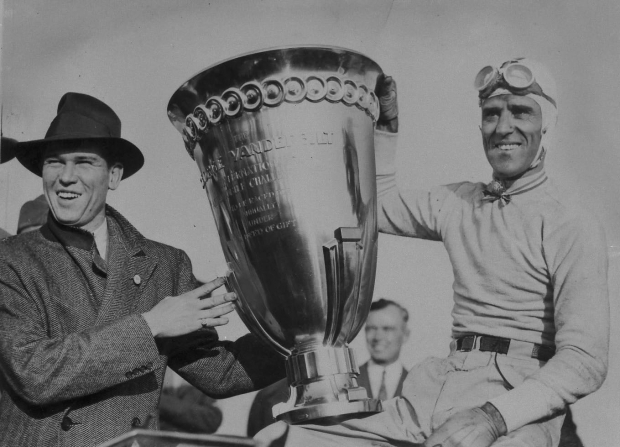 The George Vanderbilt Cup trophy was inscribed with the winners of the 1936 and 1937 Vanderbilt Cup Races held at Roosevelt Racway. Where is the George Vanderbilt Cup trophy today? Museo Nicolis, Veron, Italy. It is on loan from the Alfa Romeo Museum in Milan, Italy. 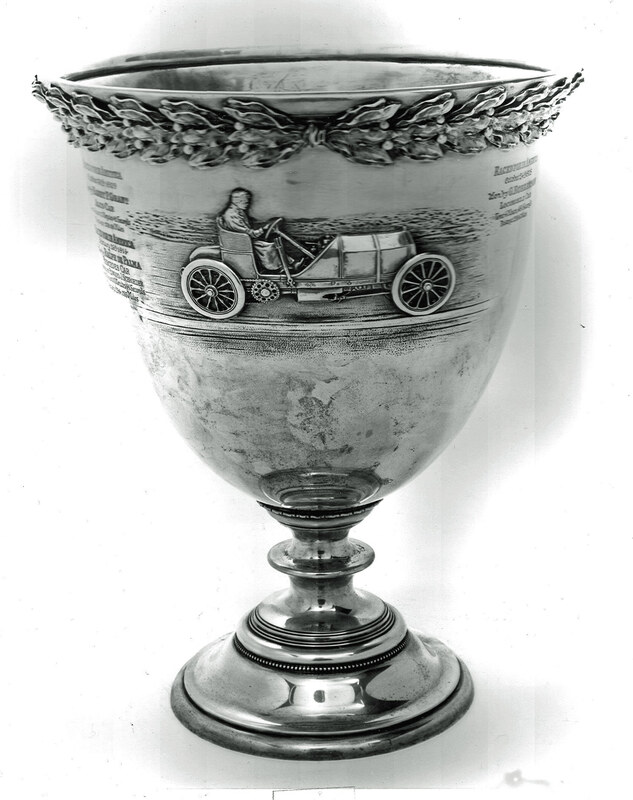 The Cornelius Vanderbilt Cup trophy was awarded to the winner of the 1960 Vanderbilt Cup Race held at Roosevelt Raceway in Westbury. 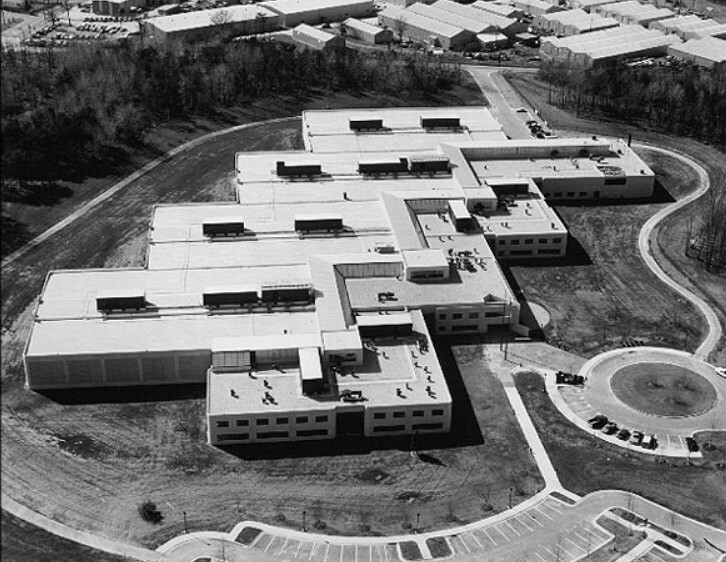 The current location of the Cornelius Vanderbilt Cup is unknown. 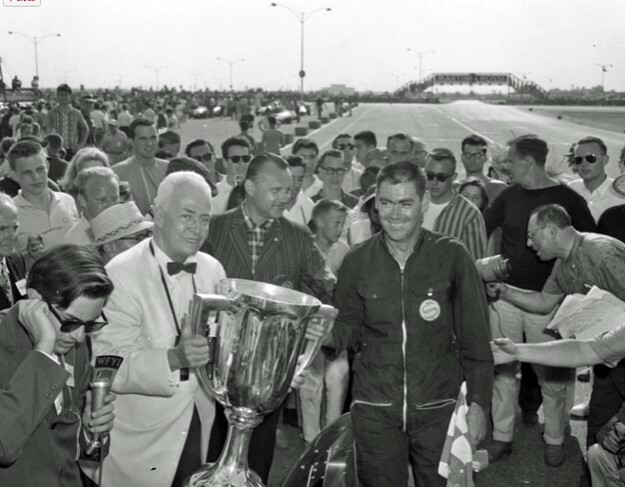 A Vanderbilt Cup was given to the United States Road Racing Championship held in Bridgehampton from 1965 to 1968. 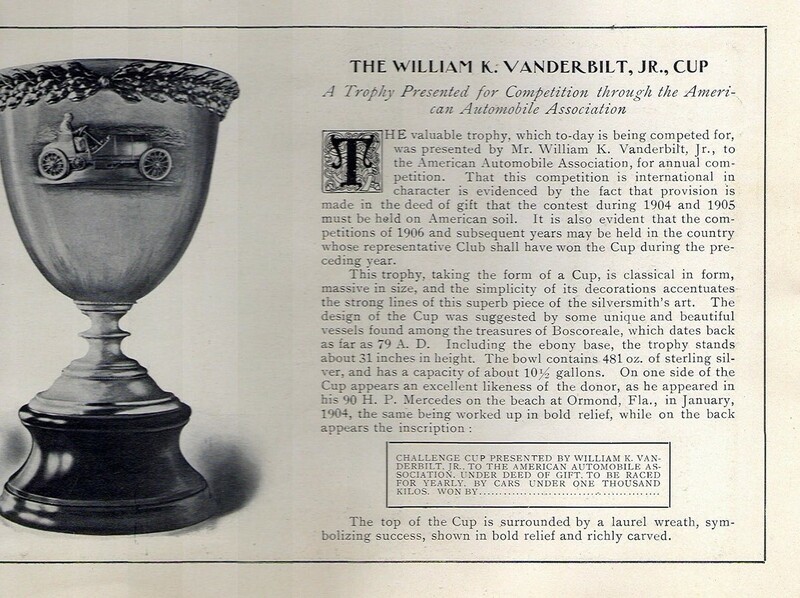 Note: The Bridgehampton Vanderbilt Cup trophy looks exactly like the 1960 Cornelius Vanderbilt Cup. Were they the same trophy? The current location of the cup is unknown. CART (Championship Auto Racing Teams) in 1996 obtained the rights to the Vanderbilt Cup and made a replica. 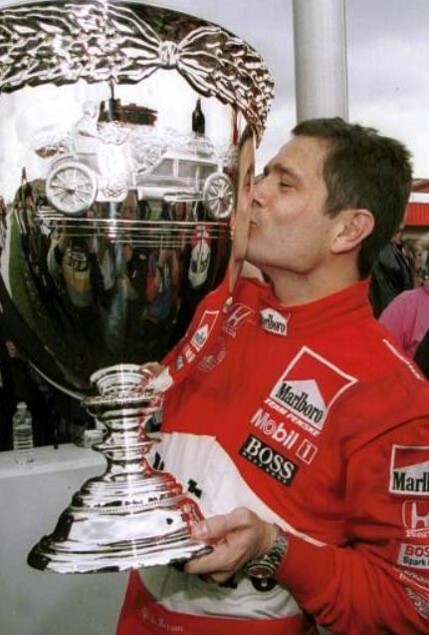 The cup was awarded to the winner of the U.S. 500 from 1996 to 1999 and the CART/Champ car champion from 2000 to 2007. 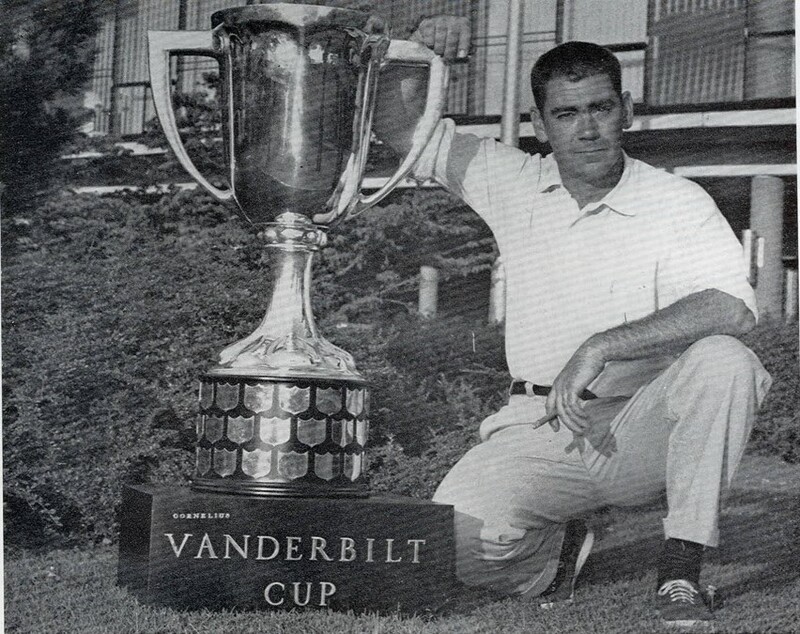 Where is the CART Vanderbilt Cup today?